We tend to associate emulators as a means of playing old games from superseded systems, but the Yuzu emulator is different: it’s trying to run Nintendo Switch games on the PC, and it’s doing a very good job. 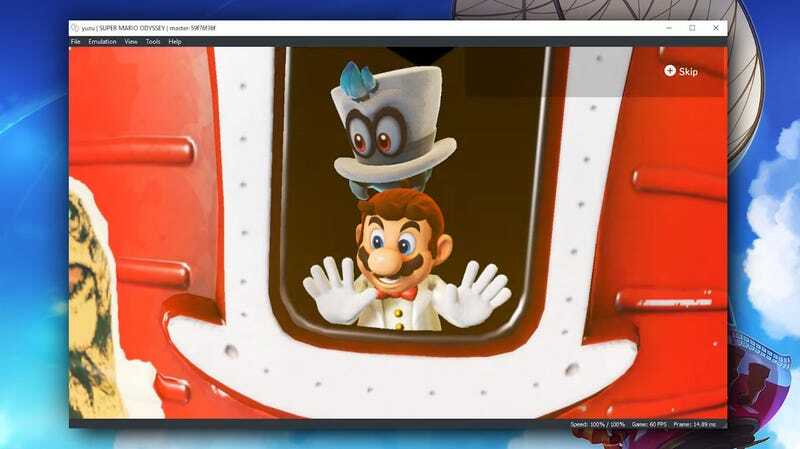 There are some graphical glitches in parts and slowdown in others, but for the most part that’s Super Mario Odyssey, playable on a PC. This is a weird place to be in. A lot of emulation work takes place in a legal minefield, but can generally be tolerated by most folks because the games and systems they’re emulating are old and tough (or even impossible) to find digitally. Yuzu, though, is emulating a very current system, with very current and commercially successful games. That’s a tough sell.